Kern River Outfitters is proud to sponsor the sixth annual Kern River Clean-Up Day on July 11th. 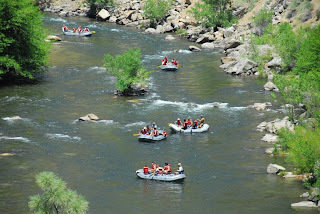 We will be floating the Kern River, cleaning up litter along the Lower Kern from Keysville to Democrat Take-Out. This is a great opportunity to make the Kern River an even better place to visit, work on, and live near. Help clean-up the Kern River! To thank everyone who participates in this event, a tri-tip and chicken dinner will be provided at 6:00 PM at Miracle Hot Springs Camp Ground. There will also be the band “Out of the Blue” to provide live entertainment. If you would like to participate, please contact Brian Cosgrove at the Kern Valley River Council via phone: (760) 549-3760. Please bring your own leather gloves, drinking water, and sun screen. Trash bags, rafts, and river shuttle are provided.